Hayley Wickenheiser is considered one of the best female hockey players in the world. Seven world championships, six Olympic appearances, five Olympic medals — she is a titan of sport and a leader both on and off the ice. Wickenheiser now sits on the International Olympic Committee’s Athletes Commission, and is Vice Chair of the Calgary 2026 Bid Committee and the Player Development Assistant Director for the Toronto Maple Leafs. Beyond sport, she’s a community leader and an accomplished student and business woman who inspires audiences to give their best in everything they do. In her 23 years as an Olympic athlete, Wickenheiser led her team to four gold medals and one silver medal, and served as Canada’s official flag bearer at the 2014 Sochi Olympics. She also won seven gold and four silver medals at Women’s World Hockey Championships as part of the Canadian Women’s National Team. Wickenheiser made hockey history as the first female player to notch a point in a men’s professional game, and as the first woman in history to have played in/coached at four NHL development camps with the Philadelphia Flyers, the Edmonton Oilers, and the Toronto Maple Leafs. Wickenheiser has been named one of Sports Illustrated’s Top 25 Toughest Athletes in the World; has been twice-named to the “Power 50 in Sports”; was among the QMI Agency’s “Top 10 Greatest Female Athletes in the History of Sports”; and is a member of the Saskatchewan Sports Hall of Fame, Canada’s Top 40 under 40, and Canada’s Walk of Fame. In 2014, she was awarded Canada’s highest honour when she was appointed to the Order of Canada for her achievements as an athlete and for her contributions to the growth of the women’s game. Wickenheiser’s passion for sport is paralleled by her desire to give back to the community through her work with dozens of philanthropic organizations, including Lace ‘Em Up, Jumpstart, KidSport, Project North, and Right to Play. She is also the founder of the world-renowned personal and athletic development weekend, The Canadian Tire Wickenheiser World Female Hockey Festival, which provides mentoring and growth opportunities for young athletes around the world. 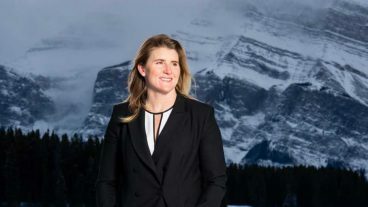 Wickenheiser holds several honourary degrees from institutions across Canada, as well as a Masters in Kinesiology from the University of Calgary, where she is also currently studying medicine. Hayley Wickenheiser’s most recent program encourages the audience to look for opportunities to buck the status quo when doing so means doing the “right” thing vs. following a herd mentality… right off a cliff. With a Masters in Kinesiology (with a focus on young adults with autism and engaging their brains through physical activity), currently attending medical school, and years of working with the most advanced medical technologies and medical minds in her on-ice career, Hayley Wickenheiser offers a unique perspective of the ins and outs of the sports and medicine field and how they entwine, for better and for worse. 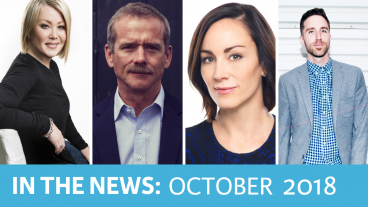 She also addresses mental health, speaking about her own experiences and of those she loves. Complacency kills! Hayley Wickenheiser offers advice on how to keep the desire alive. Hayley Wickenheiser explains what it was like to grow up playing with the boys and later playing men’s professional hockey overseas. Hayley Wickenheiser shares with her audience the importance of always looking for improvements or opportunities to bring change within your life. Success comes from going above and beyond what others normally do. Hayley Wickenheiser shares what it’s like to compete in both a summer and winter Olympics. How to perform when it matters most. Hayley Wickenheiser provides inspiration for the next generation of athletes and sports in Canada to perform even better. Hayley Wickenheiser has been public speaking for many years and can easily customize one of her existing messages to fit your event or project theme. In Gold Medal Diary, Hayley Wickenheiser, three-time Olympic gold medal winner and captain of the Canadian Women’s Olympic Hockey Team, reveals her day-to-day experiences of the 2010 Games, including the six-month lead-up of intensive training and pre-Olympic tournaments. She shares the life of an Olympian — the behind-the-scenes stories, the highs and lows, physical and emotional challenges, struggles and triumphs of an elite athlete in a hyper-intense environment, including details of the public ceremonies and private moments, friendships and rivalries, community and isolation, media presence and security.